Enter to win Dinner for two in the award winning Yew Tree Restaurant at Muckross Park Hotel & Spa, Killarney. Located in the heart of Killarney National Park, Yew Tree was voted Best Restaurant on Ireland’s Wild Atlantic Way in the 2015 Gold Medal Hotel & Catering Review awards. Led by Executive Head Chef & Kerry Native John O’Leary, the dedicated team have created a wonderful dinner menu featuring the finest ingredients from along the famous Wild Atlantic Way driving route, using the best of fresh Atlantic Seafood, prime Munster beef and succulent Kerry Lamb. Enter below to win this great prize. Yew tree is the perfect choice for an evening meal or special occasion. 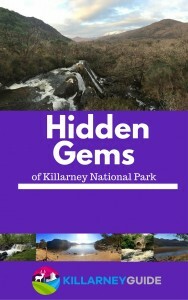 For reservations call 064 6623400 or visit www.muckrosspark.com. Enter the competition here and share the special link you get after entering. This will increase your chance of winning!